The example works for up-to 2 sub folders under root, you can add more outer joins if you have more sub folders. The example works for up-to 3 sub folders under root, you can add more outer joins if you have more sub folders. 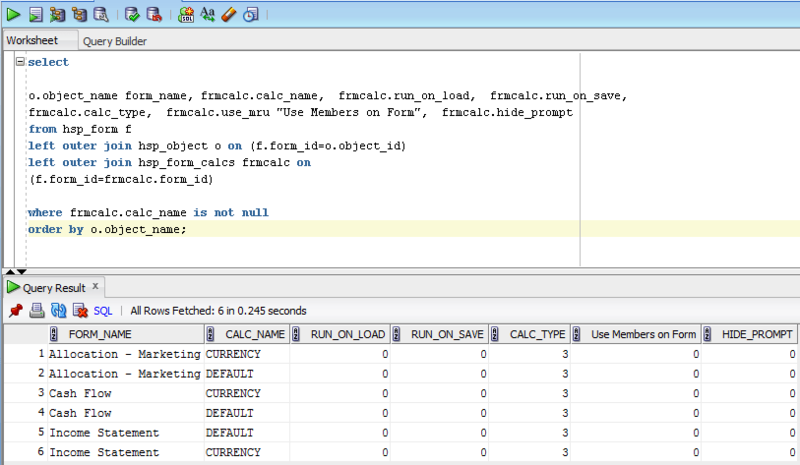 Run the below given query to extract the Calculation script association with Webforms. Run the below given query to extract the Menu association with Webforms. 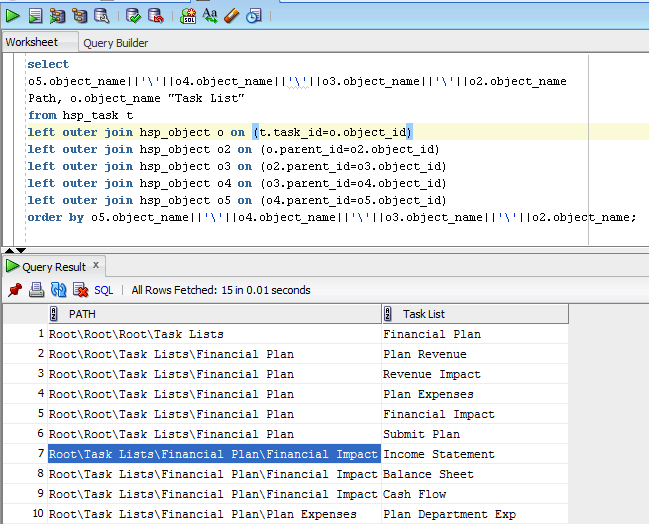 Hi, there is mistake in the first select: excess word "Path" in "o2.object_namePath". Thanks for this post and it was much helpful. 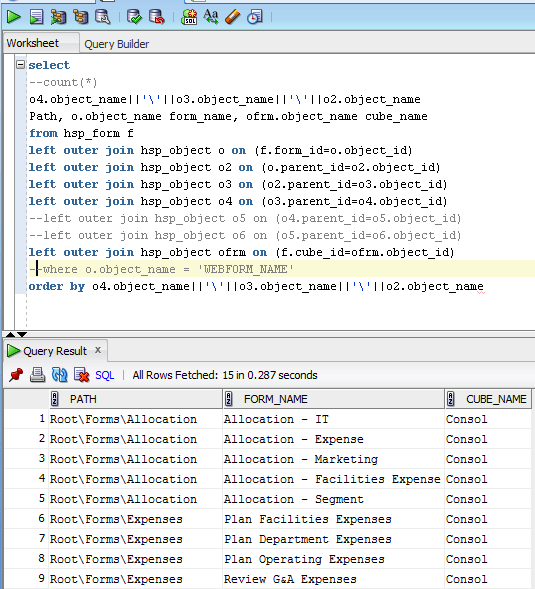 By any chance, do you have SQL queries to find the access associated to the business rules. I'm trying to query the AAS database tables to get the list of business rules and who got access to it. It would be much helpful if you share any samples related to this request. Please advise. I was looking to identify a WEBFORM is readyonly or not using query? How to get that? 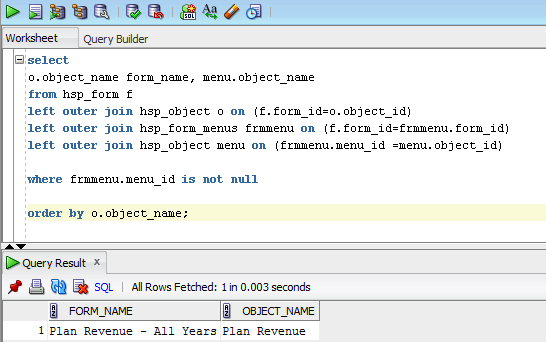 There is column called FORM_OPT, however it is hard to decode that. Is there a way to obtain which members are "Write" vs. "Read" access point of view? is there a way to find out dimension members in webforms? You can generate a report from Planning. I think it is in Reporting options.